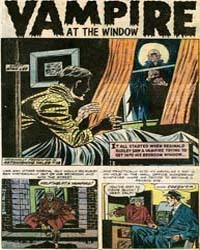 Description: The Lone Ranger is an American, long-running, old-time radio and early television show created by George W. Trendle (with considerable input from station staff members), and developed by writer Fran Striker. 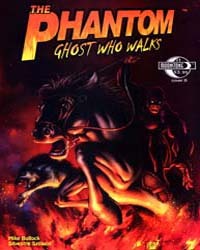 The series also inspired numerous comic books, two movie serials, books, a live action television series (1949-1957) starring Clayton Moore as the Lone Ranger (which is probably the best known treatment of the franchise.). 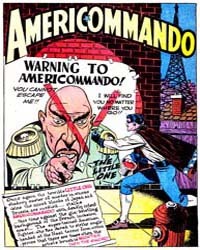 The Lone Ranger received the full mass-merchandising treatment from the beginning ? 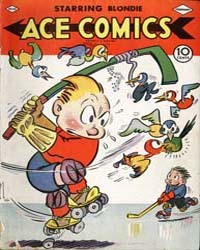 box-top driven premiums on the radio show, toys thru the years, s series of novels published from 1936 to 1956, two daily comic strips (1938-71 and 1981-84), and even a recent video game. 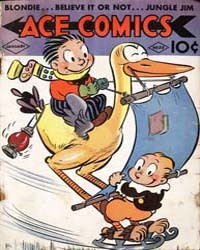 In 1948 Dell Comics launched a comic book series which lasted 145 issues. 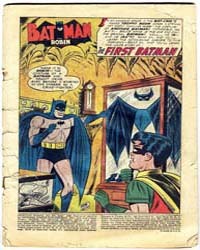 This originally consisted of reprints from the newspaper strips (as had all previous comic book appearances of the character, in various titles from David McKay Publications and from Dell); however, original content began with #7. 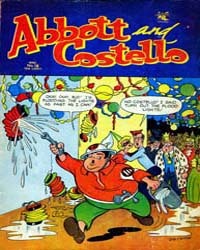 Tonto got his own spin-off title in 1951, which lasted 31 issues, followed by Silver the horse in 1952, which ran to 34 issues. 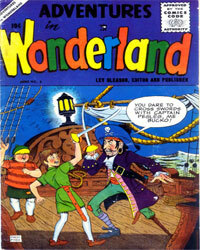 In addition Dell published three big Lone Ranger Annuals, and an adaptation of the 1956 film. 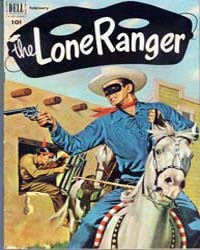 The Dell series ended in 1962, but Gold Key Comics launched its own Lone Ranger title, initially reprinting material from the Dell comics, in 1964. 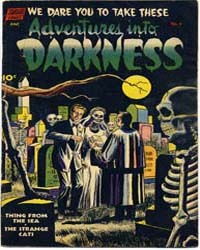 Original content did not begin until issue #21, in 1975, but the magazine itself folded with issue #28 in 1977. 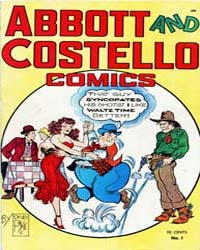 Gaylord DuBois wrote many of the Lone Ranger, Tonto and Silver comic books for both Dell and Gold Key. 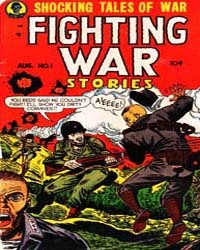 He developed Silver, in the Hi Yo Silvercomics, as a hero in his own right.